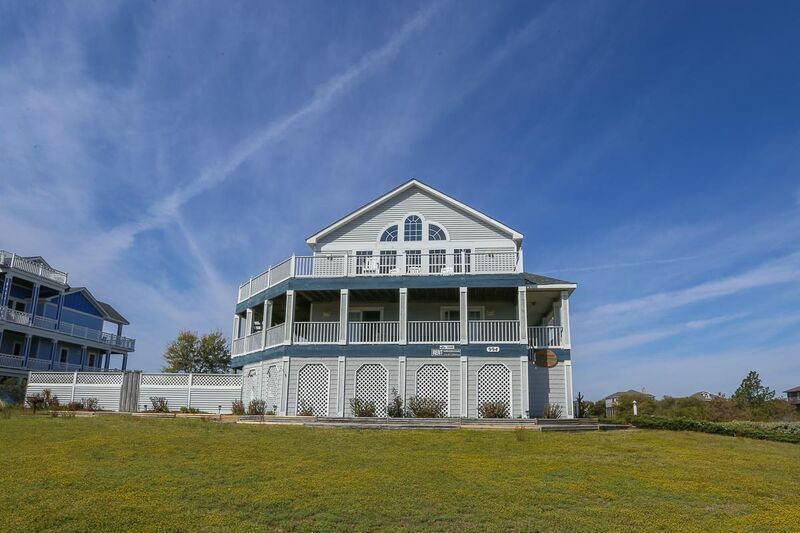 “A Shore Delight” is the ideal vacation spot - lots of space, sits on a high corner lot providing gorgeous ocean views on every level, lovely décor, less than 500 feet to beach access. Master bedroom (with Queen, flat screen TV/DVD/VCR player, soaking tub, separate shower and deck access); large and airy great room with 55" flat screen TV/DVD/VCR player/stereo, surround sound, deck access and ocean views; beautifully equipped kitchen with breakfast bar and ocean view. 3 bedrooms (master bedroom with King, ocean view, flat screen TV/DVD player, deck access, and hall access to toilet area off master bath; hot tub on deck; master bedroom with King, ocean view, flat screen TV/DVD/VCR player and deck access; 1 with 2 Bunk sets, 1 with Trundle, flat screen TV/DVD player that shares full bath with den); den with Queen sleep sofa, XBox, wireless internet, 50” flat screen TV/DVD/VCR player and deck access. Recreation room with pool table, flat screen flat screen TV, DVD player, stereo/CD player, even surround sound in the pool area, mini-refrigerator, microwave, wet bar, game table, bath; bedroom (with Queen, and flat screen TV/DVD player), laundry.